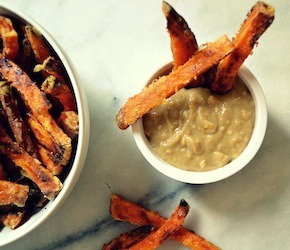 This gravy is great for dipping (try it with these crispy baked sweet potato fries!) or drizzling over veggies or cooked grains. Place all ingredients in a small saucepan and whisk together over low heat until smooth. Serve warm.